I just read Natalie and Naughtily to my son who thought it was quite fun. 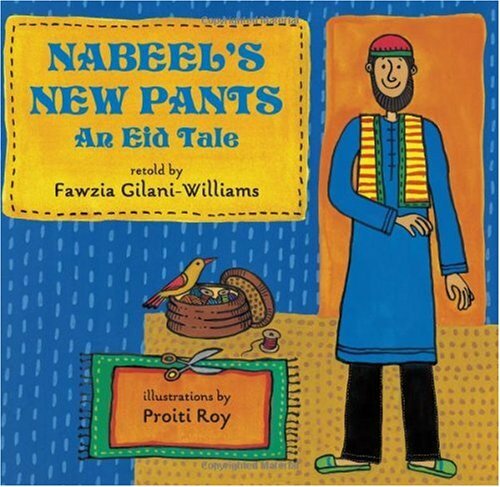 I can never look at Nabeel's New Pants without assuming it's going to be some kind of slapstick thing. I guess I just think pants are funny. No by Rueda is a recent favorite and it's perfect for the season. We loved reading Tedd Arnold's No Jumping On The Bed. The Napping House is always great fun! Naked Mole Rat Gets Dressed! I would definitely show the kids a photo of a real naked mole rat. They are SO weird. Scaredy Squirrel at Night and How Do Dinosaurs Say Good Night are great "night" books. "Newt" by Matt Novak is one of my favorite beginning readers. I second Naked Mole Rat Gets Dressed... so, so funny! The N book I'm eager to see is Nini Lost and Found, by Anita Lobel. Just love the cover art! Naughty Little Monkeys by Ayelsworth is fun. I will definitely need to checkout Nabeel's New pants.